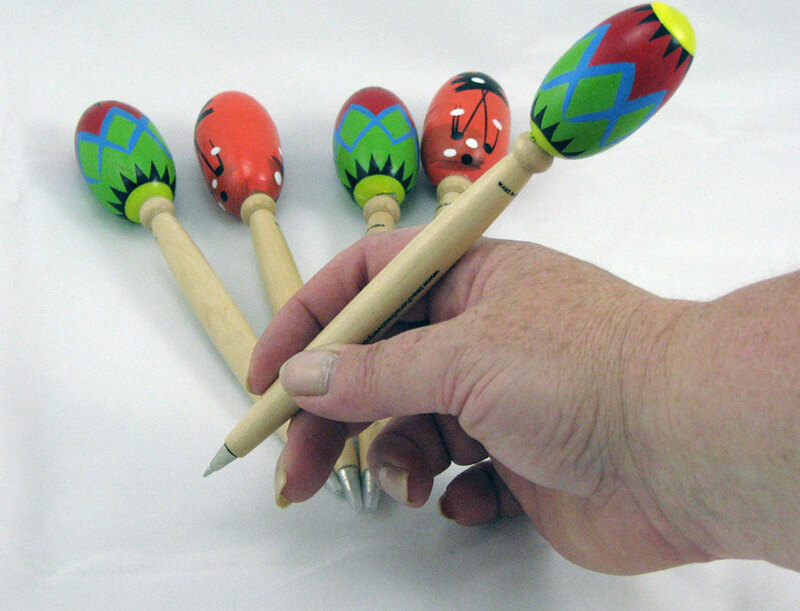 These pens look like real maracas ! Hand-painted in assorted colors. 7 inches each. Blue ink. 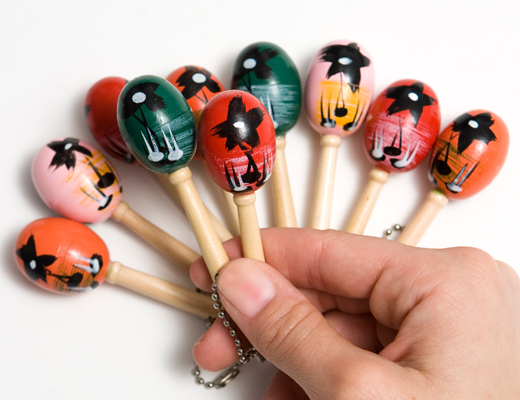 These pens look like real maracas! Hand-painted in assorted colors. 7 inches each. Blue ink. 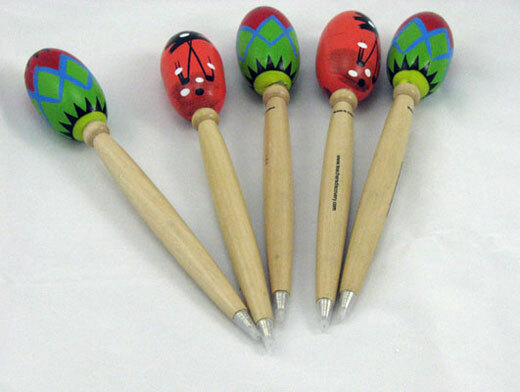 I was not satisfied with my order the Maraca pen was broken when i got it and i had to super glue it together. The rest of the order was fine. I had to re-glue some of the pens as the end had fallen off or was loose.  Staff's Response: Hi MIndy, Thank you for your review. 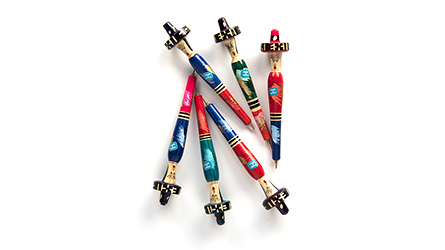 I am sorry some of your pens needed to be re-glued.  Please contact customer service at 1-800-832-2437 or help@teachersdiscovery.com regarding replacements. I have shared your review with the manager. I give these as senior gifts and sometimes as prizes. One of my students told me it was the best prize he'd ever won.